A sworn member of the Colombo crime family in New York City, Michael Franzese was considered the biggest moneymaker in the mob since Al Capone. At age 35, he was number eighteen on Fortune magazine's list of the fifty most wealthy and powerful Mafia bosses in America. But then he did the unthinkable. He quit the mob. Franzese met Camille Garcia, who turned his world upside down with her innocent beauty. He fell in love with her, married her, and began a new life that didn't include the Mafia. 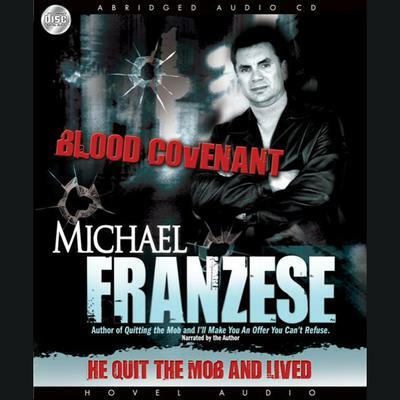 Nobody of Franzese's rank ever just walked away from the mob and lived to tell about it. But Franzese has somehow managed to avoid the grave after he turned his back on the past. But what made him leave the lavish lifestyle of the Mafia? And how has he escaped what should have been sure death after he quit the mob? Now, in one of the most fascinating books ever written about today's Mafia, Michael Franzese reveals the answers to the many mysteries surrounding his incredible life. Walk the streets with him and find out how and why he has done what no one else managed to do--and live. Journey with him through a life defined by two blood covenants... ...The first bound him to the mob. The second set him free.